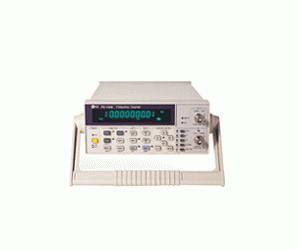 The EZ Digital FC-1300 is a RF-Frequency Counter designed for system and bench use with max 9 digits resolution, featuring RS-232C and GPIB interfaces with full remote control capability. The frequency range is from 10Hz to 3GHz(Option 3 ; 5GHz)and High speed, High resolution Measurements are possible. It is also equipped with the mesurement functions for period, peak voltage and auto trigger, auto limiting test. The model FC-1300 is suited for use in R&D sections and production line such as cellular phone, personalradios, pagers and other equipment.